Below you fill find all funeral homes and cemeteries in or near Sulphur Springs. Suburbs of Sulphur Springs: Sulphur Spgs. Sulphur Springs is also known as: Hopkins County / Sulphur Springs city. Their current mayor is Mayor Oscar Aguilar. Zip codes in the city: 75482, 75483. Hopkins County funeral flowers can be purchased from one of the local funeral shops we partner with. Some of the notable people born here have been: Damione Lewis (american football player), John D. Cherry (politician), Keenan Clayton (american football player), and Phillip Wilburn (voice actor and actor). 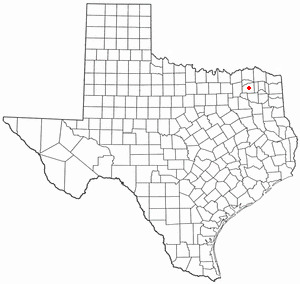 Sulphur Springs is a city in Hopkins County, Texas, in the United States. As of the 2010 census, the city population was 15,449. It is the county seat of Hopkins County. It was disclosed by San Diego Union-Tribune on March 23rd, 2019 that Joyce Callaway-Schwartz (Allayne) passed on in Chula Vista, California. Ms. Callaway-Schwartz was 95 years old and was born in Sulphur Springs, TX. Send flowers to share your condolences and honor Joyce's life. It was noted by San Antonio Express News on December 14th, 2017 that Wanda June Reith (Tomlinson) perished in Sulphur Springs, Texas. Send flowers to express your sympathy and honor Wanda June's life. It was noted by The Paris News on November 5th, 2017 that Larry Harris perished in Sulphur Springs, Texas. Harris was 58 years old. Send flowers to share your condolences and honor Larry's life. It was revealed by The Paris News on October 22nd, 2017 that Joyce Marie Patras (Wisely) died in Sulphur Springs, Texas. Ms. Patras was 81 years old. Send flowers to express your sorrow and honor Joyce Marie's life. It was reported on August 18th, 2017 that Martha "Pat" Kimmel passed on in Sulphur Springs, Texas. Kimmel was 90 years old. Send flowers to express your sympathy and honor Martha "Pat"'s life. It was disclosed by Texarkana Gazette on February 16th, 2017 that Mildred Ann Etzkorn (Lensing) passed on in Sulphur Springs, Texas. Ms. Etzkorn was 92 years old and was born in New Blaine, AR. Send flowers to express your sympathy and honor Mildred Ann's life. It was written by Texarkana Gazette on January 6th, 2017 that Charles Earl "Charlie" Brown perished in Sulphur Springs, Texas. Brown was 58 years old and was born in Stamps, AR. Send flowers to express your sorrow and honor Charles Earl "Charlie"'s life. It was disclosed by Texarkana Gazette on December 31st, 2016 that Opal Atwood passed on in Sulphur Springs, Texas. Atwood was 58 years old and was born in Norman, OK. Send flowers to express your sympathy and honor Opal's life. It was reported by Orange County Register on December 11th, 2016 that Patsy June Cundiff (Runnels) passed on in California. Ms. Cundiff was 78 years old and was born in Sulphur Springs, TX. Send flowers to share your condolences and honor Patsy June's life. It was revealed by Texarkana Gazette on September 1st, 2016 that Sharon Davison (Reynolds) passed away in Sulphur Springs, Texas. Ms. Davison was 72 years old. Send flowers to share your condolences and honor Sharon's life. In 1849, Dr. In 1924, the Texas Star was merged into the Daily News Telegram. At this point in time, the population of the village was 441. When the settlers began arriving, they, too, used the springs as their camping grounds. The dairy industry is a major component of the local economy; Sulphur Springs is home to the Southwest Dairy Museum which features artifacts on the history of the dairy industry. The official website for the city of Sulphur Springs is http://www.sulphurspringstx.org/. Jack Kinard of Sulphur Springs, TX, and Paul A. Kinard of Clovis ... Arrangements by John Ireland Funeral Home, 120 S. Broadway St., Moore, OK 73160, 405-799-1200. This obituary was published in the Tulsa World on 10/30/2010. M urray-Orwosky Funeral Home located in Sulphur Springs,Texas has been a family-owned and operated funeral home since 1964 serving Sulphur Springs, Hopkins County and East Texas. Listing all funeral homes in Sulphur Springs, Texas so you can easily send flowers to any location (same day delivery) or find any funeral service. Funerals in Sulphur Springs, TX on Yahoo! Local Get Ratings & Reviews on Funerals with Photos, Maps, Driving Directions and more. Tapp Funeral Home, Sulphur Springs, TX : Reviews and maps - Yahoo! Local, 903.885.2233. Get Ratings, Reviews, Photos and more on Yahoo! Local. Find a Funeral Home inSulphur Springs, Texas TX to provide the caring burial and ceremonial services your family deserves. We work with local florists and flower shops to offer same day delivery. You will find budget sympathy flowers in Sulphur Springs here. Our funeral flowers are cheap in price but not in value.